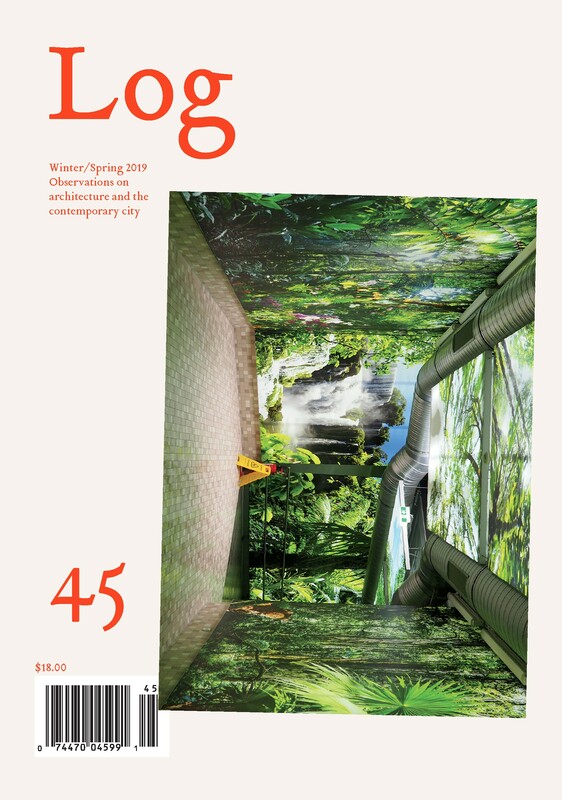 From Pritzker Prize laureate Wang Shu on Song dynasty landscape paintings to Elizabeth Diller on orchestrating an opera on the High Line, architects thinking transformatively and reflecting critically are at the heart of Log 45 (Winter/Spring 2019). In this open issue, architects, curators, and critics observe the world at both the large and small scale, from Paola Antonelli on curating “Broken Nature” at the Milan Triennale, to Peter Trummer on an inoperable Anthropocene window; from Stephan Trüby on right-wing reconstruction efforts in Germany, to Patrick Templeton on “Adjacencies” at Yale. 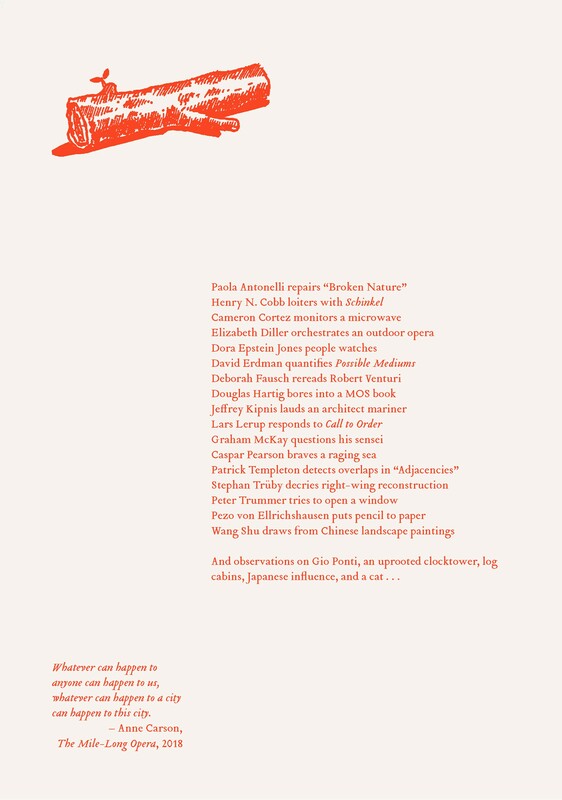 This issue also features reviews of a number of recent books: Henry N. Cobb reflects on the role of philosophy in Schinkel; Jeffrey Kipnis analyzes Cobb’s own newly published memoir; Lars Lerup responds to a Call to Order; Caspar Pearson compares two books produced for the 2018 Venice Architecture Biennale; David Erdman introduces Possible Mediums; and Douglas Hartig tackles MOS Architects’ forthcoming children’s book. Plus, Deborah Fausch on the writing of the late Robert Venturi; Dora Epstein Jones on the phenomena of populated plans; Cameron Cortez on a misplaced microwave in Japan; and Graham McKay on Kazuo Shinohara’s artful houses.